We spend much of our time talking about all of the fun and interesting things to do during the daytime in Santa Fe, but we’d be remiss not to mention the spectacular nightlife in Santa Fe. Daytime hours in Santa Fe are filled with warm sunshine and a vibrant energy filled with fun outdoor adventures, exquisite shopping, well appointed and interesting galleries and museums, and a spectacular set of restaurants to enjoy. But just because the sun goes down, doesn’t mean the fun stops in Santa Fe. Book your room with us now, and start planning your adventure. Santa Fe is a city with a wonderfully eclectic music scene that is as diverse as you would expect from this melting pot of a city. 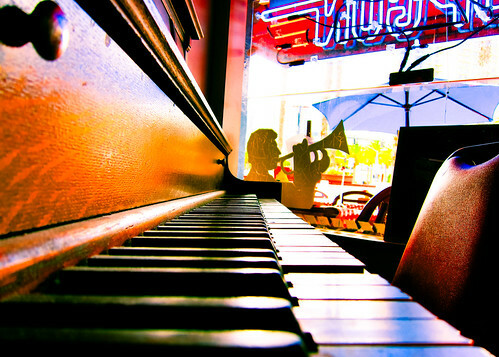 Depending on your mood, you can enjoy a variety of fun nightlife venues. Step out on the town and enjoy a variety of music, from the well known sounds of blues, Latin American music, bluegrass, rock, and jazz, to the unique sounds of flamenco, reggae, Native American, and even African music. To hear the talented artists that frequent Santa Fe’s nightlife scene, you simply need to step into one of the many bars and venues throughout the city. Popular places include El Farol on Canyon Road, local favorite Second Street Brewery, or the upscale venue Fenix at Vanessie. Step back in time and mix with the locals at The Palace, or try the innovative drinks at Coyote Café’s rooftop cantina. If bars aren’t your scene, then there are still plenty of things to do in Santa Fe after dark. 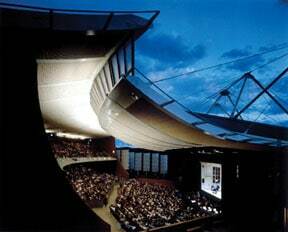 The Santa Fe Opera season is starting up in July, and is a one-of-a-kind experience that will amaze you. Not only is the season line-up geared to wow crowds, but the venue itself is set amidst a breathtakingly beautiful outdoor setting that rivals the music. Other popular nightlife venues in Santa Fe include Sol Santa Fe, where you can catch a wide variety of shows, and the Lensic Performing Arts Center, which features many national touring acts. Book your room at our Santa Fe Bed and Breakfast today, and let your action-packed day lead you into an exciting evening, with these great Santa Fe nightlife venues.